Scrappy and happy hot pads to make baking even more fun! These lovely hot pads will make for the perfect addition to your kitchen decor! 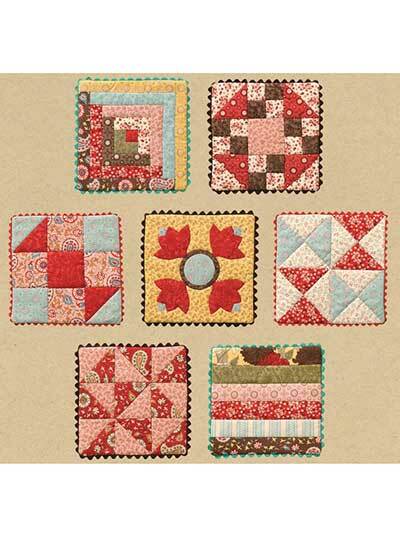 Use up your scraps for a scrappy look, or buy yardage for a more uniformed, finished product. 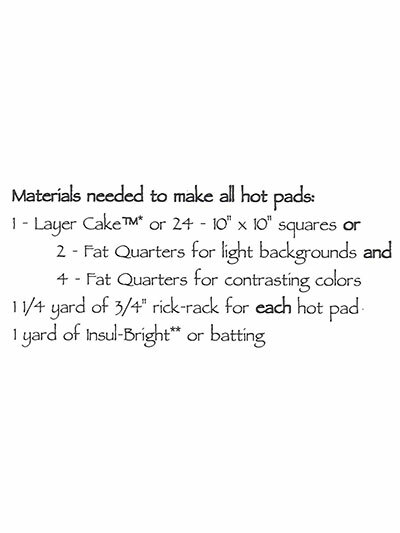 Patterns are included for 6 different designs and each finished hot pad is 9" x 9" using 24 (10") squares or 2 fat quarters for light backgrounds and 4 fat quarters for contrasting colors. I love the patterns and fabrics from your company.